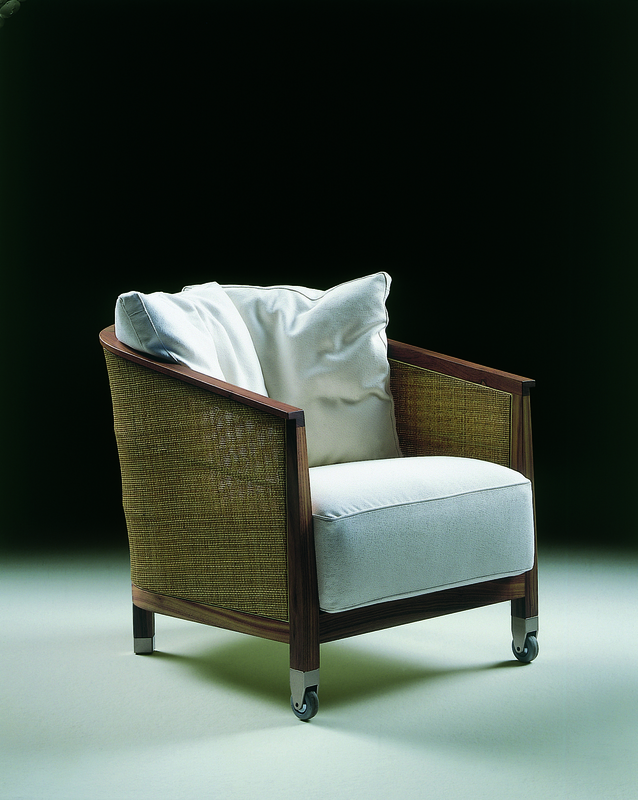 MOZART is an armchair with an almost colonial air. The particular curved wooden frame in Canaletto walnut and screen-worked cane gives it a natural look that recreates the calm atmosphere of a winter garden in a domestic setting. Equipped with frontal casters, MOZART is easy to move. Comfort is guaranteed by the large, deep seat cushion and one or more down cushions resting on the back.